Imagine launching a marketing campaign to thousands of customers. A lot of them start converting, but what do you do with the ones who have questions before they buy? Most online shoppers never even think of reaching out to you before they ditch your offer or abandon their shopping cart. What if they have an easy enough way to respond straight to the marketing text message you just sent them? And what if you could reply right away with an instant text message that answers their question and helps them finish their order? SMSBump is happy to announce the brand new SMS Chat! 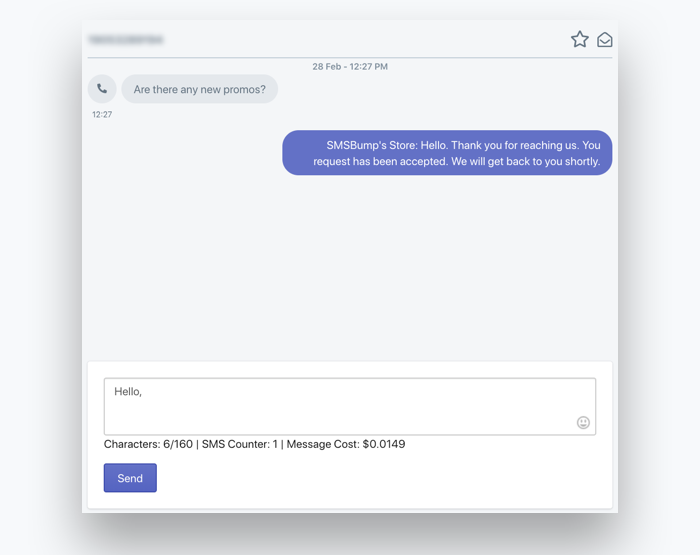 The reason why we’re so excited to introduce the new chat functionality is not just because a lot of Shopify merchants have asked us about this, but because we think this is a major new update that will make SMSBump one of your favorite ways to engage your customers. 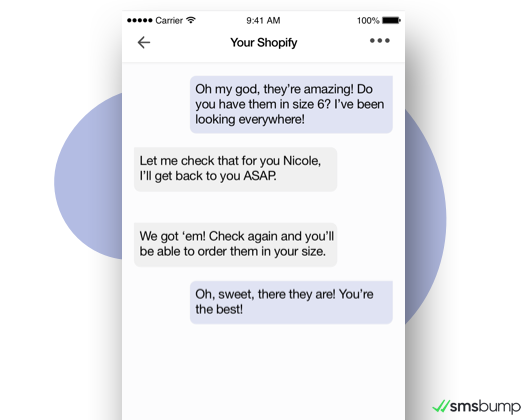 Shopify merchants can now enable two-way conversations using text messages in SMSBump. You can start receiving and sending quick SMS replies to urgent customer questions using the brand new Chat panel in your app. 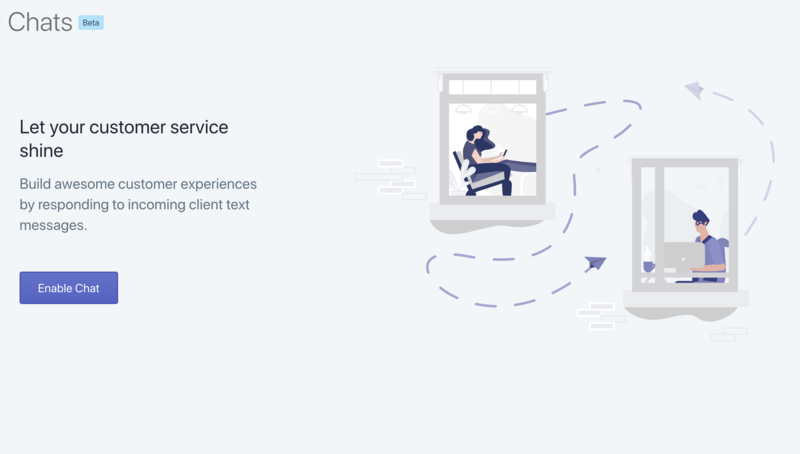 You can now finally deliver a lightning-fast conversational experience to customers who are on the go and want to learn more about your special offers. 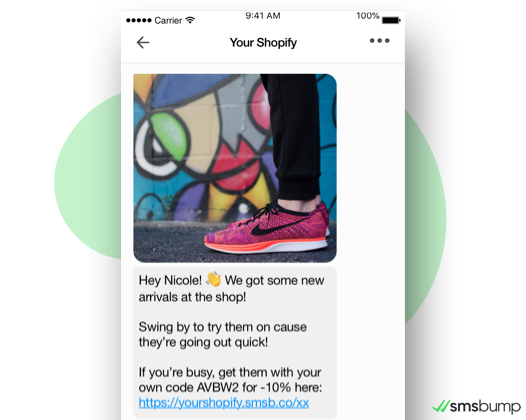 The SMS Chat helps you drive the growth of your Shopify store along the entire customer experience with your business. To following up and driving repeat sales with personalized messages for each individual customer. 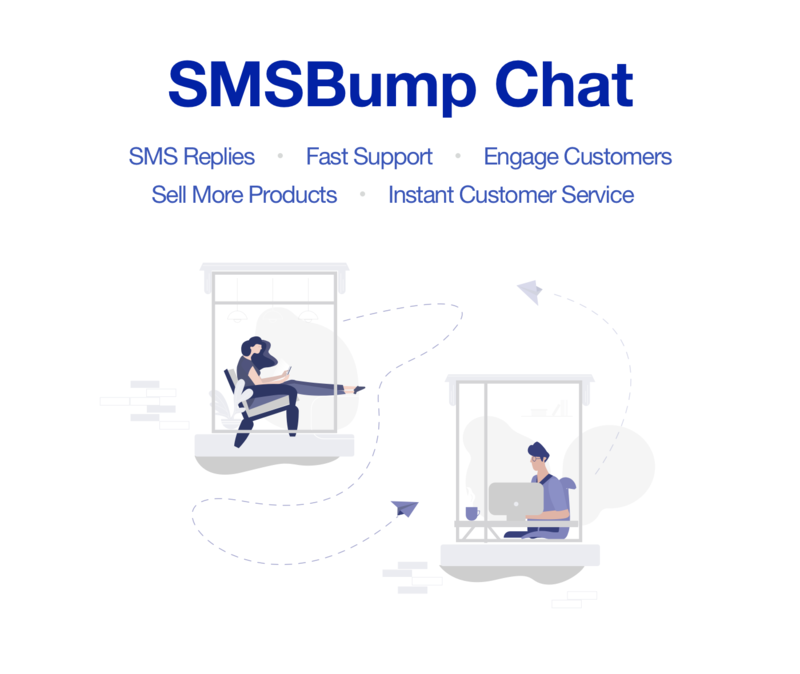 The SMSBump Chat is your new lightning fast support channel for keeping in touch with customers in key moments of their E-Commerce journey with your brand. How does the SMSBump Chat work? The first step is to Enable your new chat panel in the SMSBump dashboard. This is where all the magic will happen from now on. The SMSBump Chat has a clean layout where you have your contacts on the left and the conversation on the right, like any other messaging app. 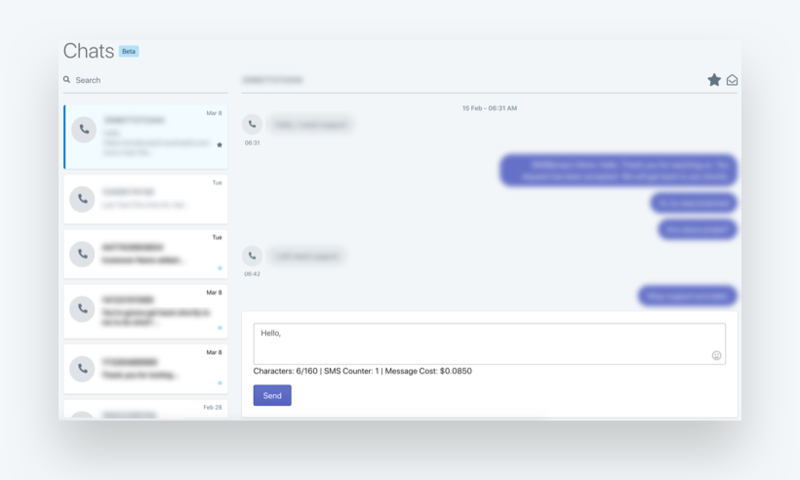 The message composer features the character count and a handy way of displaying the different country costs when you’re messaging customers from all over the world. This way you always know how much the text message will cost to send to each specific customer in your chat panel. The new SMS Chat is available for customers based in the United States, Canada, United Kingdom, Australia, Spain, and France. More countries will be activated soon. The contacts section shows you the conversations that have been seen or answered and the ones you haven’t seen yet. You can mark important conversations with the star icon on the top right and mark certain conversations as “Not seen” with the message icon. How to Start a Conversation? You don’t, your customers do. 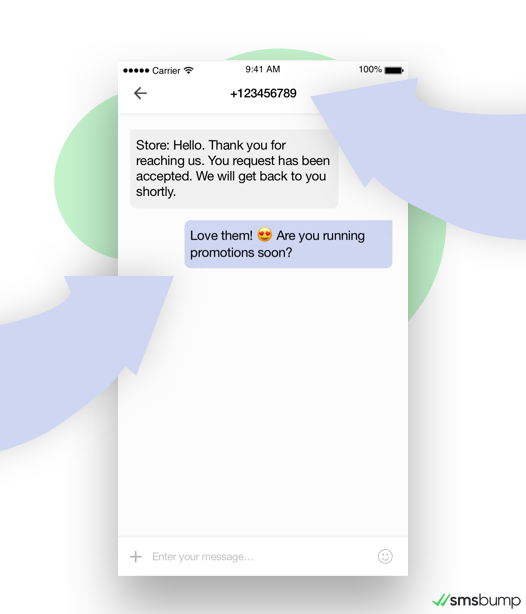 From the moment you enable the Chat, your customers will be able to respond to the text messages you sent from your SMS automations or marketing campaigns. 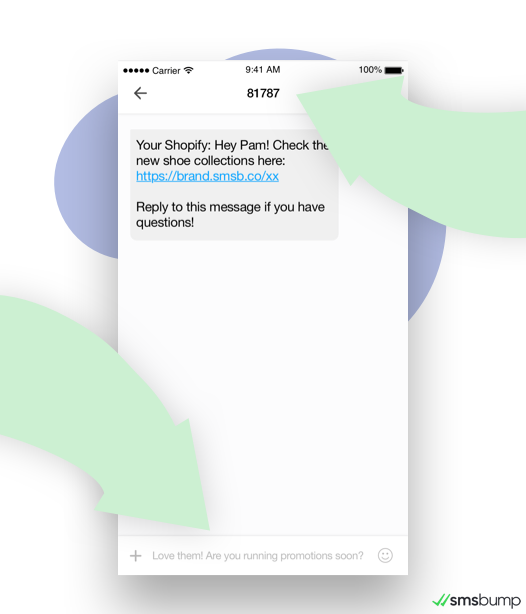 The moment your customer receives a text message with a promotion or an abandoned cart reminder from your Shopify store, they can reply right away. Your customer can send a reply to the short code they got your text marketing message from. When the reply is sent, an auto-generated number will be automatically assigned to your SMSBump Chat panel. This is the number that SMSBump will use to send and receive the text messages from your conversations with customers. SMSBump users who have enabled their brand name as a Sender will only be sending from the new dedicated number after they enable the Chat, since due to carrier limitations it's impossible to keep using your brand name for Chat conversations. The customer experience will also be transferred to a new message thread that they will see with a notification. The conversation will begin with an automated text message greeting the customer and letting them know you will be there to reply as soon as possible. And just like that, the conversation with your customer just started with one of the simplest, fastest and most efficient ways - text messages. Your customers will love the SMS Chat. And so will you. That also means the number of contacts in your Chat panel will also start growing. The handy search bar at the top left corner lets you sort through your contacts using their phone numbers. They will appear automatically so you can continue your conversation with them. 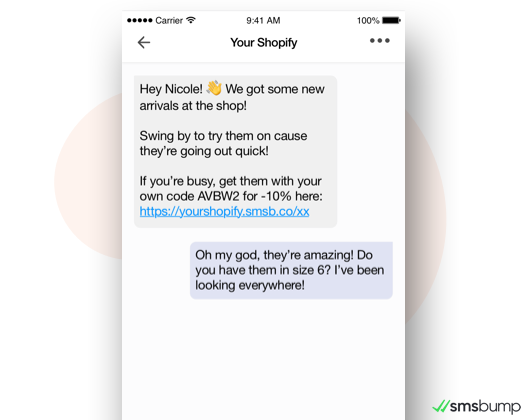 The new SMS Chat has two powerful integrations for your Shopify store to expand the many ways you can utilize the functionality. The Slack notifications that snap every time you receive a text message reply and the Zendesk tickets that let you respond to text messages in your support panel. Install the Slack integration and enable your SMSBump notifications to receive updates via a dedicated Slack channel about all the text message replies you’re getting in your Chat. Clicking the Go to Conversation button will take you to your Chat panel in the SMSBump app. The Slack notifications help you stay updated with all text message replies right away so you can react as fast as possible. Remember that text messages are a super-sonic method of communication and whenever someone texts you, they will expect a reply back within seconds. In case you’re using ZenDesk, you can install the new integration that will automatically assign tickets for each new conversation in your SMSBump Chat. 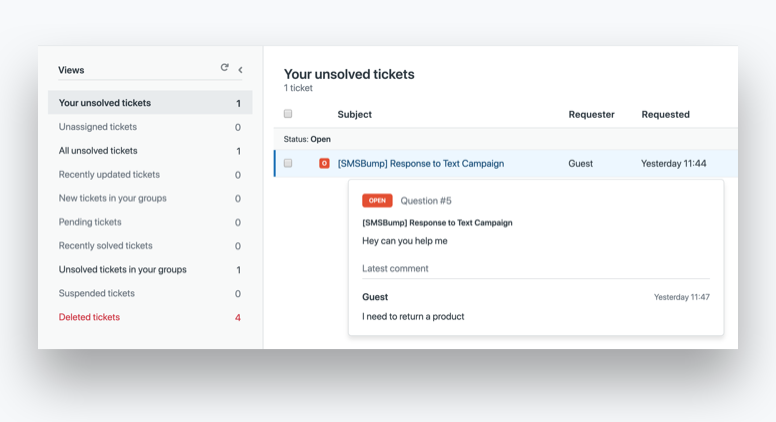 You will be able to manage your unsolved tickets and use the ZenDesk replies to send text messages all the way to your customers! Yes, you can reply to text messages from your Chat using the ZenDesk integration, in case you prefer their support panel. 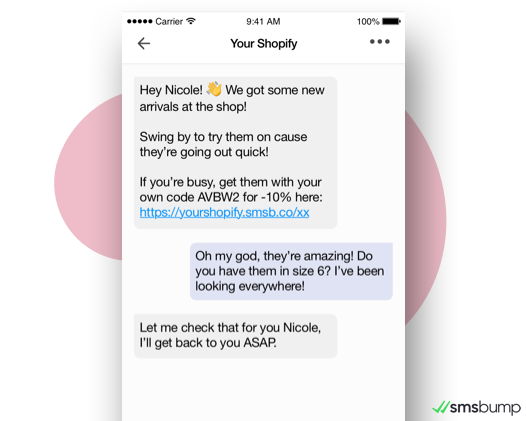 The new SMS Chat can do miracles for your Shopify store and the way you interact with customers. A huge customer support booster, a fast new way to increase conversion rates, and a close and personal way to keep your customers informed. Enable the chat, announce to customers they can reply to your messages now and let us know what you think!